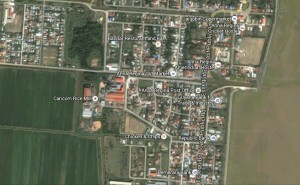 A section of the corrected Google Map reflecting Essequibo Public Road instead of Av 100 Bolivar. Google has heeded Guyana’s call for the removal of Spanish street names from its mapping service that indicate that ties the Essequibo Region to Venezuela, according to Foreign Affairs Minister, Carl Greenidge. Speaking with Demerara Waves Online News on the sidelines of last Thursday’s sitting of the National Assembly, he said after government dispatched a lawyer’s letter to Google and Guyana’s Ambassador to the United States (US) met with top officials of Google, that company decided to change the names. “That has now been corrected. We have approached Google, drawn it to their attention, had meetings and Google has informed us that they have corrected it and we have seen it,” he said. Previously, the Essequibo Coast Public Road had been renamed on Google Maps as AV 100 Bolivar and another road called Calle 100 Guayana. Greenidge said Google erased the incorrect street names on its maps effective January 4, 2016. “Google informed us that there is a process by which these things occur and we were not satisfied that it was just a random thing but in the end what satisfied us was that they fixed it,” the Guyanese Foreign Minister said. Venezuela had last year convinced Google to change the English street names to those in Spanish at a time when the latest border spat over the mineral and forest region had peaked. Relations between the neighbouring South American countries have deteriorated to an all-time low ever since American oil giant, ExxonMobil, announced in May, 2015 that it had discovered a significant oil deposit offshore Essequibo. Venezuela’s President, Nicolas Maduro has since decreed that all of the Atlantic sea offshore Essequibo is part of his country’s maritime defence zone. Guyana maintains that the 1899 Arbitral Tribunal Award is the full, final and perfect settlement of the maritime boundary with Venezuela. The United Nations Secretary General, Ban Ki Moon is yet to decide whether he would agree to Guyana’s request that the controversy over the award be taken to the World Court.